Mark Ruffalo, Scott Smith, the WaterBug and Flint. 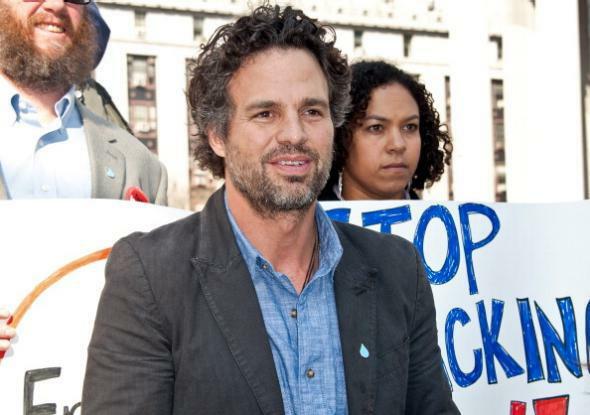 Mark Ruffalo at an anti-fracking protest in New York City in 2011. Actor Mark Ruffalo’s environmental activism nonprofit is backing the scientifically specious claims of a recently-bankrupt entrepreneur who says that only his sponge product can detect ongoing contamination in Flint, Michigan’s water, the Huffington Post and other experts say. Ruffalo’s charity, Water Defense, identifies a man named Scott Smith as its “chief scientist” and “chief technology officer & investigator.” Smith has said in a press release and YouTube videos that the tap water in Flint is still dangerous and unsafe for bathing because other testers are only looking for lead rather than contaminants known as “trihalomethanes.” (It’s generally believed that Flint’s water has gotten much safer since high lead levels were discovered last year, though water filters and bottled water are still being made available to residents.) He says that a sponge product called the “WaterBug” does more accurate testing than other groups’ methods and that a product called “Aquaflex” can turn the water potable. His claims have been covered by outlets including CNN (on which Ruffalo appeared earlier this month) and the Detroit News. Scott Smith is not a scientist in any traditionally recognized sense. The education section on his own website claims only a business degree and a bachelor’s in economics. Smith also says on his site that he has “overseen the testing and clean up process” in a number of water-contamination cases, including Flint. This is a comically dishonest claim; by his own account, he doesn’t seem to have ever been to Flint before January 2016, well after the city’s water crisis had been deeply investigated by various groups and covered widely in the press. Experts and authorities in Flint have been testing and tracking trihalomethanes because of their potentially adverse health effects, something I wrote about in February. Says Smith in a February 2016 video: “After reviewing testing results from private residences in Flint, Michigan today, we have learned that they’re only testing for one or two chemicals—lead and maybe copper.” Nope. Ruffalo’s publicist told the Huffington Post that Smith does not have a financial interest in WaterBugs and has never said that contamination levels in Flint are higher than in other cities. The first statement is contradicted by Opflex’s spokesman and the second statement is contradicted by … well, by Smith’s actual words. (“I have been to 62 contamination disasters … I have never seen the levels of contamination or chloroform in water like it is here,” Smith said at one point.) Ruffalo doesn’t seem to have commented directly on the controversy outside of his CNN appearance; for what it’s worth, he’s been criticized in the past for making dubious and conspiratorial claims about the Zika virus and 9/11. Here’s the problem: Since everyone has known for quite a while that the Flint River was the root cause of the city’s drinking water problems, it switched back to using water from Lake Huron last October. 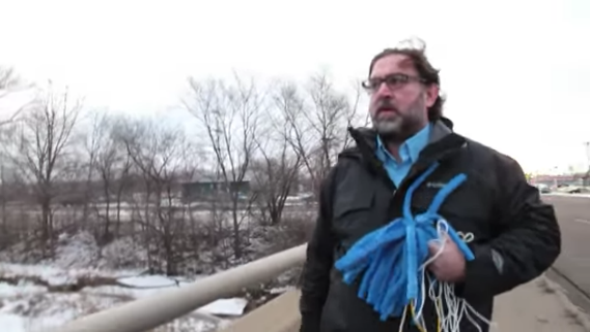 The river that Scott Smith threw his WaterBugs into is not connected to Flint’s water system, and hasn’t been for months. One tragic element of Ruffalo, Smith, and Water Defense’s case for the WaterBug, as Edwards writes, is that Flint residents do have reason to be skeptical of authorities and experts; authorities and experts are responsible for having created the city’s crisis in the first place. But the solution to a problem of dishonesty and neglect is honesty and transparency, not the hyperbolic and baseless conspiracy-mongering that Ruffalo and Smith’s group is engaged in.